The rosemaling style of the Os region in western coastal Norway is known for its fanciful flowers and bright colors. In this workshop you will execute an Os design. Skilled painters can paint their own design, with assistance from the instructor as needed. 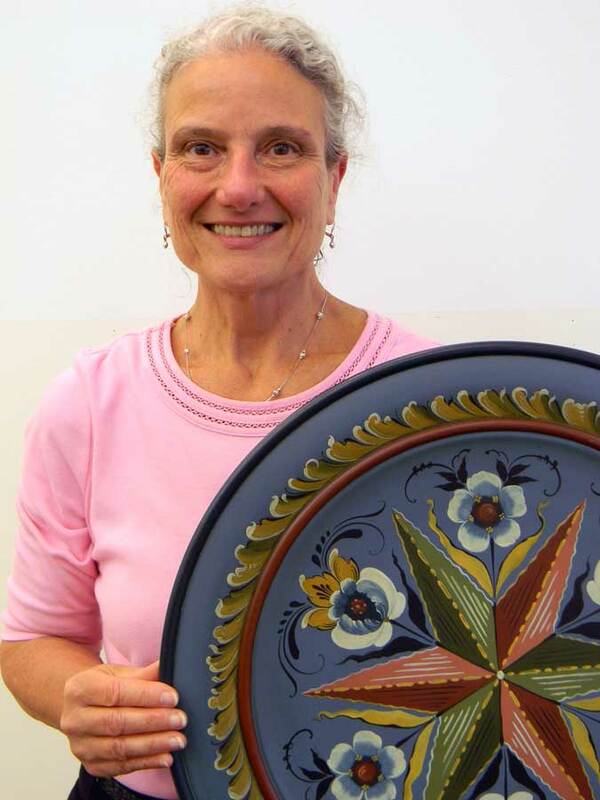 If you have ever wanted to paint Os Rosemaling, this is the class for you. Painting will be done with acrylic paint. We will be in touch via email with registered students regarding materials list and additional class details in the days leading up to the class. I have been decorative painting and teaching painting for many years, and recently taught at Vesterheim in Decorah, Iowa. 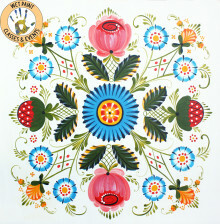 While I paint and teach many styles of decorative painting, I focus on art inspired by work done in Norway (Rosemaling), Sweden (Dalamalning/Kurbits) and Germany (Bauernmalerei) and have studied with American, Norwegian and Swedish painters who paint these and other decorative styles. Class will be structured to teach techniques and designs.